This page contains data downloads for Piceance Basin, 2010 Oil Shale Assesment, compiled from DDS-69-Y. Complete Spatial Data download (Zip File, 534MB) - All shapefiles, GRIDs, TINs, tabular data. This page contains data downloads for Uinta Basin, Utah 2010 Oil Shale Assesment, compiled from DDS-69-BB. Complete Spatial Data download (Zip File, 495 MB) - All shapefiles, GRIDs, TINs, tabular data. This page contains data downloads for Eocene Green River Formation, 2011 Oil Shale Assesment, from DDS-69-DD. Complete Spatial Data download (Zip File, 329 MB) - All shapefiles, GRIDs, TINs, tabular data. This page provides access to data that supports recent oil shale assessments and released as part of the 2009 update of OFR 98-483 . Map showing the distribution of the Mesaverde Formation (or Group) and the Wasatch, Green River, and Uinta Formations and locations of oil shale boreholes in the Piceance Basin, northwestern Colorado. Oil shale data for the Piceance Creek Basin, Colorado is available as USGS Data Series 181 and can be downloaded using the links below. 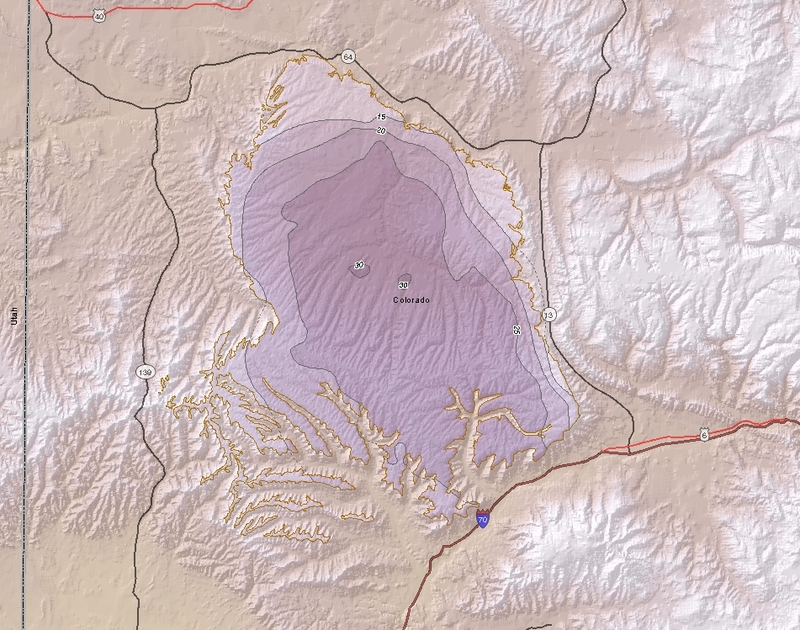 This geodatabase is a digital reproduction of three legacy USGS oil shale publications-- MF-958 (Pitman and Johnson, 1978) , MF-1069 (Pitman, 1979) , and OC-132 (Pitman and others, 1990). The database consists three feature datasets for each publication with a total of 106 feature classes. 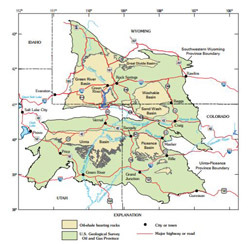 2,263 scanned logs of various types including gamma ray, sonic, neutron, caliper, and lithologic descriptions are available for 621 different wells in the Piceance Basin of western Colorado. 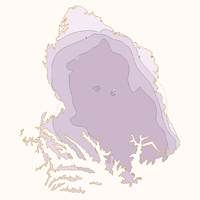 Logged intervals generally focus on the Green River Formation which contains large amounts of oil shale in this area. Image quality varies considerably with the condition of the starting material. Files are PDFs or TIFFs and file size ranges up to 560 megabytes with and an average size of 33 megabytes.